You will love these! Pretzles are so flavourful that no additional seasoning is required and with the honey-mustard dip, it just satisfies all cravings – salty, sweet, crunchy with the juicy warm chicken on the inside. Preheat the oven to 475°F with the rack in the lower third of the oven. Line a baking sheet with foil and brush it with the olive oil. 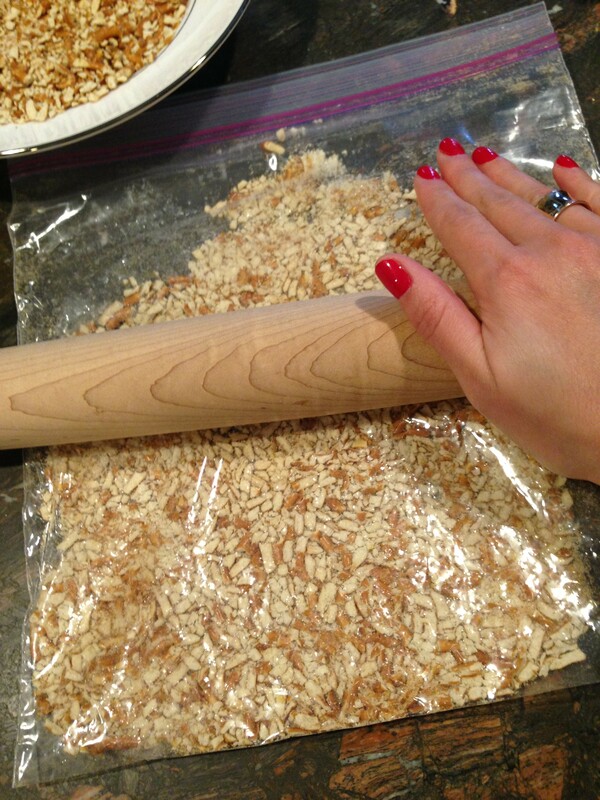 Place the pretzels in a resealable plastic bag, and using a rolling pin, crush them until they’re finely ground (a few bigger pieces is ok). Transfer the crackers to a wide, shallow bowl. In a separate wide, shallow bowl, whisk together the eggs with the honey mustard. Place the flour in a third wide, shallow bowl. Bread each tender by coating it in the flour, shaking off any excess, and then dipping it in the eggs. Transfer the tender from the eggs to the crushed pretzels, pressing the pretzels into the chicken to ensure an even coating, and then place the tender on the prepared baking sheet. Repeat the breading process with the remaining tenders, arranging them in a single layer about 2 inches apart. Bake the tenders, turning them over once, until they’re golden brown, about 15 minutes total. Remove the tenders from the oven, season them with salt (optional) and serve immediately with additional honey mustard for dipping. Philosophical part: There comes a time in a man’s life when he must come out from under the umbrella of his mother’s gourmet meal plan and must prove to his partner (and himself, at 30) that he is not totally deficient in the kitchen…. So I’ve had my eye on VanillaBeanOnline and I picked out a cool sounding recipe for baked pretzel chicken tenders with honey-mustard! Brief: Complete success!! 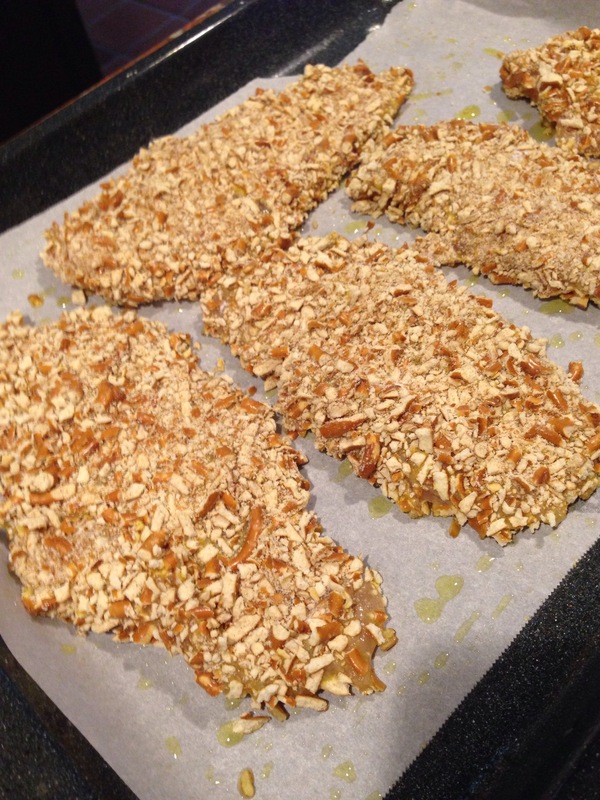 Easy and fun to prepare thanks to the awesome instructions, super delicious and original! So, thanks for that steph, much appreciated!